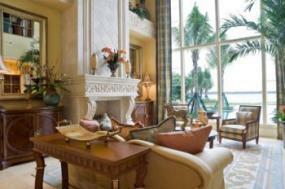 Stone fireplace designs can set the mood of rooms and influence the style of furniture you choose for that room. The fireplace is a focal point of the room and when you choose the stone and design style you need to consider the main function of the room. Kitchen - Will the fireplace be used for cooking? Porch or outside patio - Will the fireplace serve only for a heat source or also cooking? Den, bedroom or bath - Will the fireplace be used only for ambiance or also for heat? Once these questions are answered, you can begin choosing the design and style of the fireplace. The size of your fireplace will help determine the kind of stone you use and guide the style of design. What size of a fireplace will you need? 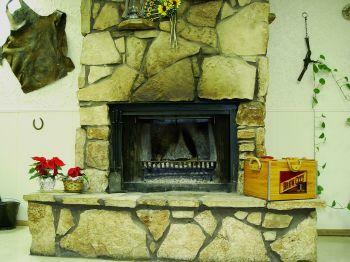 There are many types of stones available to use in building your fireplace. Natural stone is the most popular choice since it conducts radiant heat, but technology affords cultured stone for a good economical choice. If your stone fireplace is massive and reaches from the floor to the ceiling, you need to keep the weight of the stone in mind. If you are building or remodeling, make sure the floor and supporting foundation can handle the load. Natural stone is by far the most optimum choice for your fireplace. Many dealers carry a wide variety of stone from all over the United States and other countries. If you are cost conscious and want to go green, consider using only locally quarried stone. Local stone can however limit your choices. A majestic and often formal style of fireplace is one made of carved stone. These come in all sizes and styles. Some use a combination of stone tiles while others are carved as a complete unit. Many design choices dictate the use of a more traditional and stylized form of stone, especially if the room function is formal. The kind of stone used in this style of fireplace comes in two forms, natural and cast stone. Cast stone is a composite of crushed natural stone and concrete available in a wide choice of stone combinations. The composite is poured into large molds. These molds can be stylized or intricately ornate to give the appearance of hand-carved stone without the expense. If your supporting foundation will accommodate real stone, then you must first decide on the style you want. The architectural style of your home will help narrow your choices. If you select a hearth style stone fireplace, you need to decide if the hearth will be flush with the floor, raised or used for seating. The choice of stone will be determined by style and function. Stone surrounds come as complete forms or in pieces that fit individually around the fireplace. Most stone kits also include a stone mantle. Some stone surrounds are marble or similar stone tiles that can be placed around the opening of the fireplace and on the hearth. Often overlooked is the color of mortar and the style of grouting used in the joints between the stones. Dry stack joints - Accomplished by fitting each stone prior to installation and mortar laid without showing a joint to resemble a dry stack effect. Standard grout line - Each stone is laid a finger-width apart and a grout bag is used to fill in between the stones. Over grout joints - These are grout lines filled in with the aid of a grout bag and overlap the stones in an irregular pattern. This gives the design an old world look. Once the grout begins to set a wooden tool is used to scrape away the excess mortar. Mortar color - Additives are used to tint the mortar to enhance or complement the color of the stones. 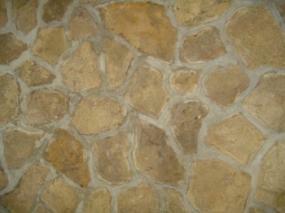 Cultured stone and veneer stone are man-made products that look and function like real stone. While these imitation stones are sprayed with a fire retardant, your local building code requirements should be investigated before investing in this option. If your building code allows this as an alternative choice, you need to use real stone surrounding the fireplace opening and hearth to assure any stray sparks don't create a fire hazard. Cultured stones are typically loose and come with molded corner pieces. Unlike the cultured stone, a veneer is a stone façade created by laminating the one-sided stones onto a board, making it easier to install. Manufactured stone has an approximate 2% factor of waste while natural stone has a 10% or more waste factor. Labor cost can be less if you plan to undertake the installation yourself. Stone fireplace designs are vast and as varied as individual tastes. Taking time to make the right choice for your home will mean years of enjoyment.